Bhuvneshwar Kumar has been declared fit by the Board of Control for Cricket in India [BCCI] on Monday and will play in the third-place playoff match between India A and South Africa A.
India pacer Bhuvneshwar Kumar has been declared fit by the Board of Control for Cricket in India [BCCI] on Monday and will play in the third-place playoff match between India A and South Africa A of the ongoing one-day quadrangular series. 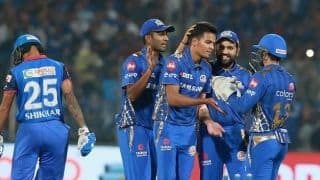 Bhuvneshwar has been nursing a lower-back injury and has been out of action for over a month now. He last played for India in the third and final ODI of the England series where he bowled seven wicketless overs. He missed the first two matches of the series which India lost 1-2 and eventually was ruled out for the first three Tests against England. The BCCI announced the news via their twitter handle. “Bhuvneshwar Kumar has been declared fit & will be a part of the India A squad in the ongoing Quadrangular series. He will feature in the side’s next fixture against South Africa A,” BCCI posted on Monday. 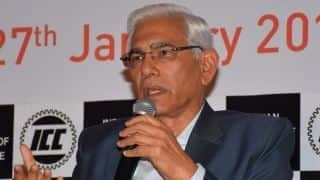 He returned India to recuperate from the problem and was undergoing rehabilitation at the National Cricket Academy in Bengaluru. Intentionally, he was expected to recover within a month but that was delayed by a further two weeks. Like Bhuvneshwar, Jasprit Bumrah also missed the opening two Tests as India conceded a 0-2 lead to England. However, Bumrah returned to the playing XI for the third Test at Trent Bridge where his maiden five-wicket haul in the format propelled India to a 203-run win. 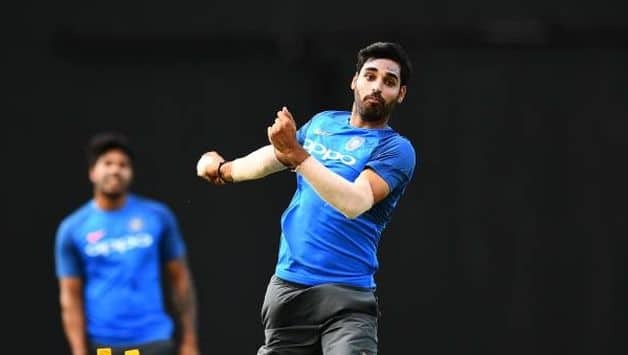 Interestingly, Bhuvneshwar will return to action on Wednesday for India A and not India B which will face Australia A in the summit clash of the quadrangular series.